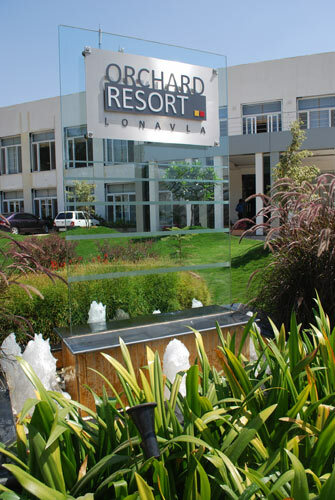 Orchard Resort is one of the best business hotels with a distance of 2 hours from Mumbai and 1km from Pune. 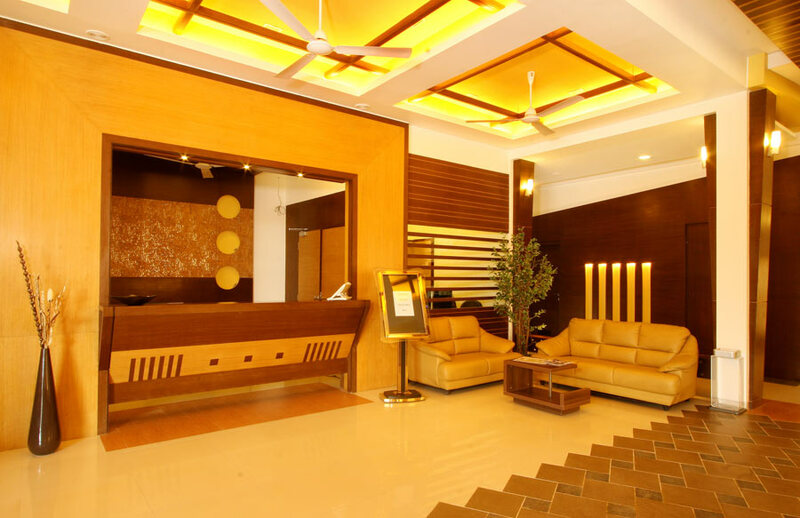 Having the advantage of the state-of-the-art conference and training facilities, this resorts scores over the other hotels at Lonavala. 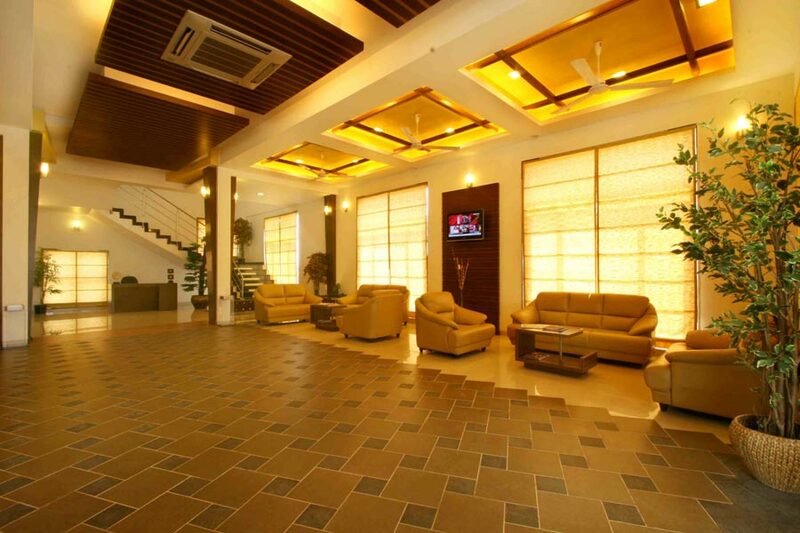 The meeting rooms are featured with all the necessary requirements. The restaurant offers delicious dishes while the spa and pool are directed towards relaxation and rejuvenation. 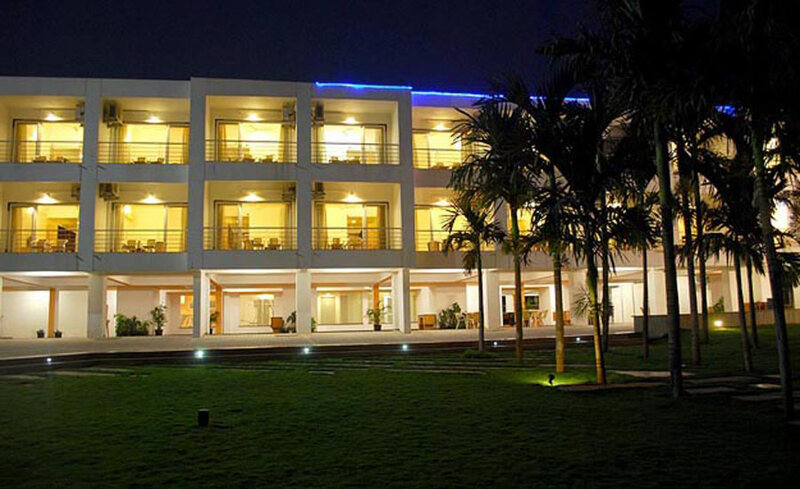 Recreation facilities like gym, various indoor games and separate play area for children keeps the guests as well as kids busy. 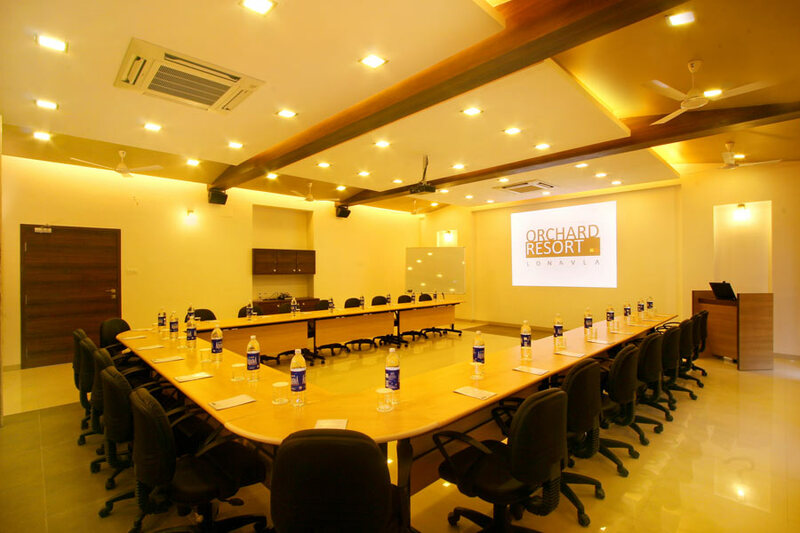 Orchard Resort offer modern conferencing facilities. 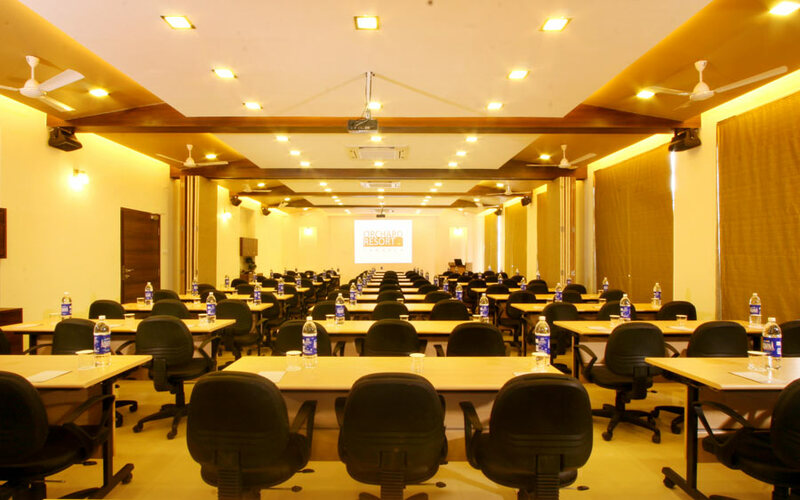 There are 4 meeting rooms- Embassy Hall, Banquet Hall, Kensington Hall and Boardroom. The Embassy Hall with the size of 8.2m/27ft x 18.3m/60ft can be divided into two venues if necessary. 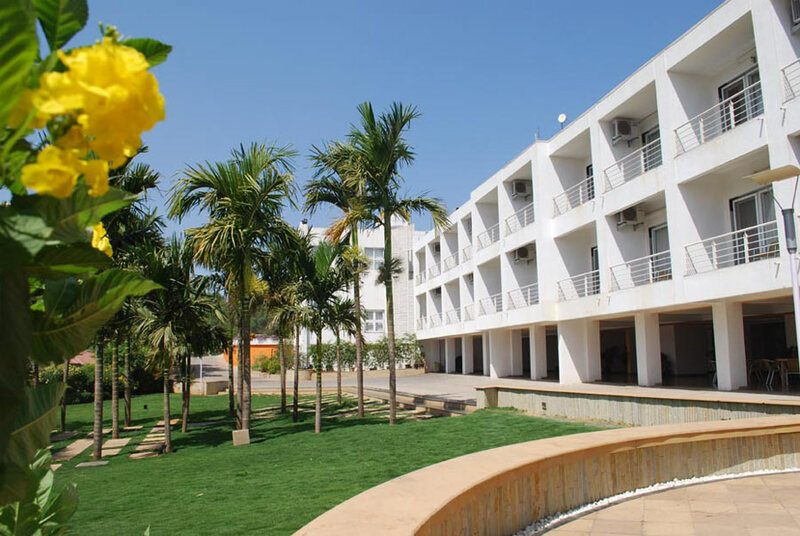 Accommodation can be made for 200 in theater style, 60 for conference, 100 in classroom style and 50 in U-shape. 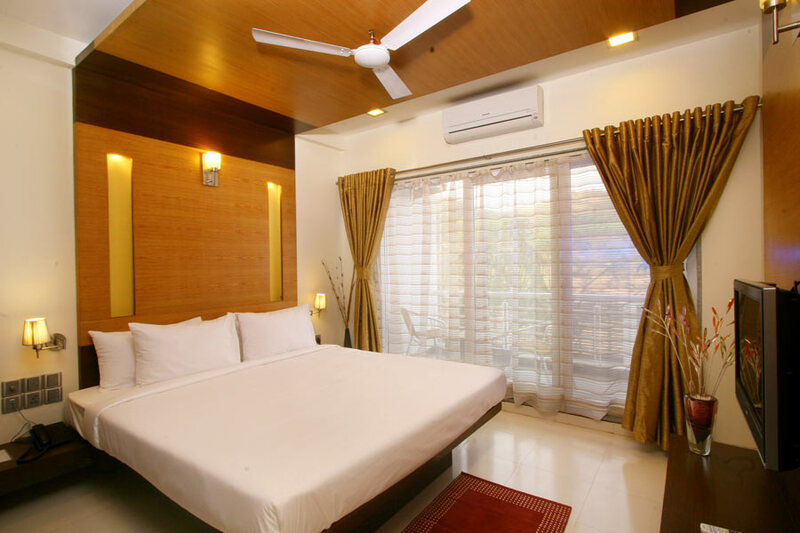 It is fully A/C with facilities like intercom and state-of-the-art audio-visual equipment which includes LCD projector, motorized screen, digital PA system with podium mic, collar mic and cordless mic, Wi-Fi internet access and recessed lighting. 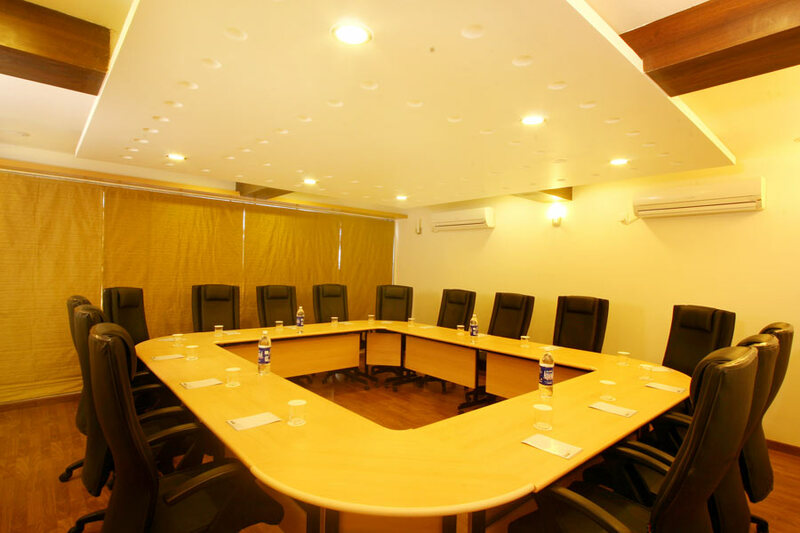 The Imperial Boardroom (A/C) with the area of 256sqft has the capacity of 20 people and is used for private meetings as it has LCD projector and has the grand views of Sahyadris. The business center has all the necessary items required for a meeting like computers with internet connectivity, scanner, printer and copier. 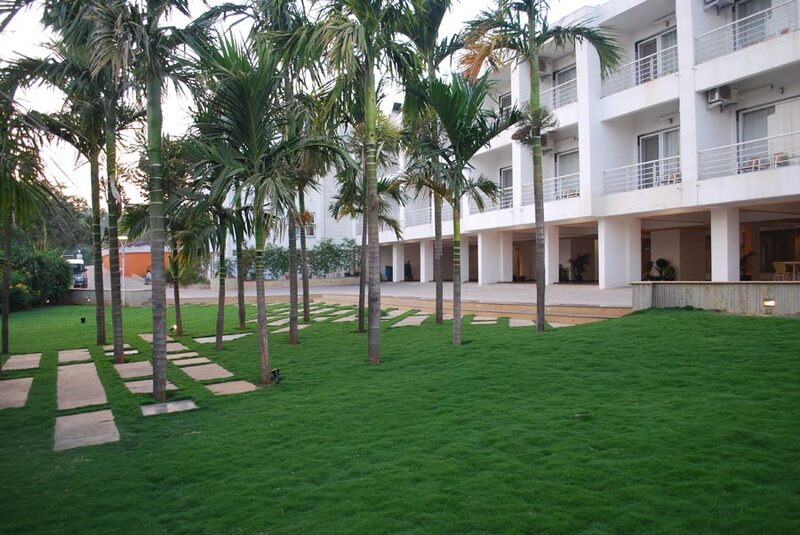 The banquet hall has the capacity of 45 in classroom style, 100 in theater style, 25 in U-shape and 30 in conference. The Kensington Hall with the area of 810sqft can accommodate 35 in classroom style, 80 in theater style, 20 in U-shape and 25 in conference. Tiffany's multi cuisine restaurant (A/C) can accommodate 100 people. 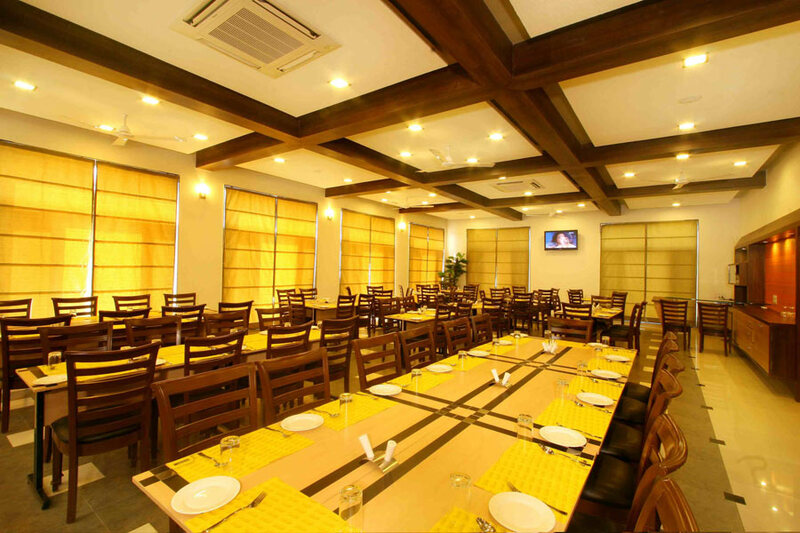 It offers variegated Indian, Italian and Oriental cuisines. 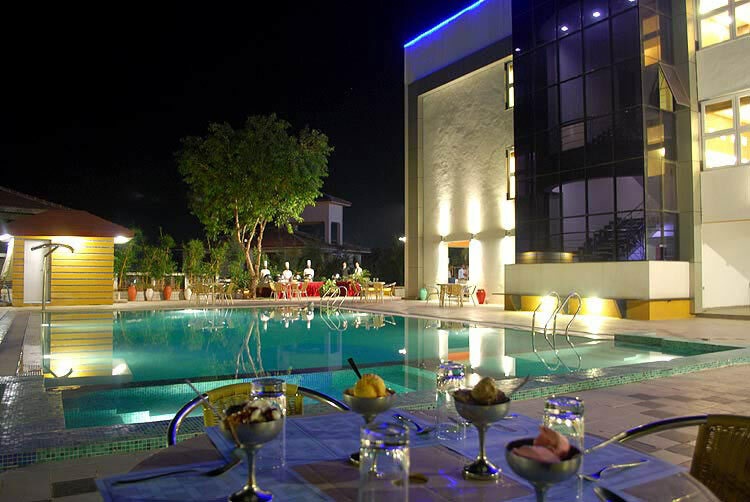 Buffet is arranged for group parties and conferences. Best quality of cutlery and crockery are used. 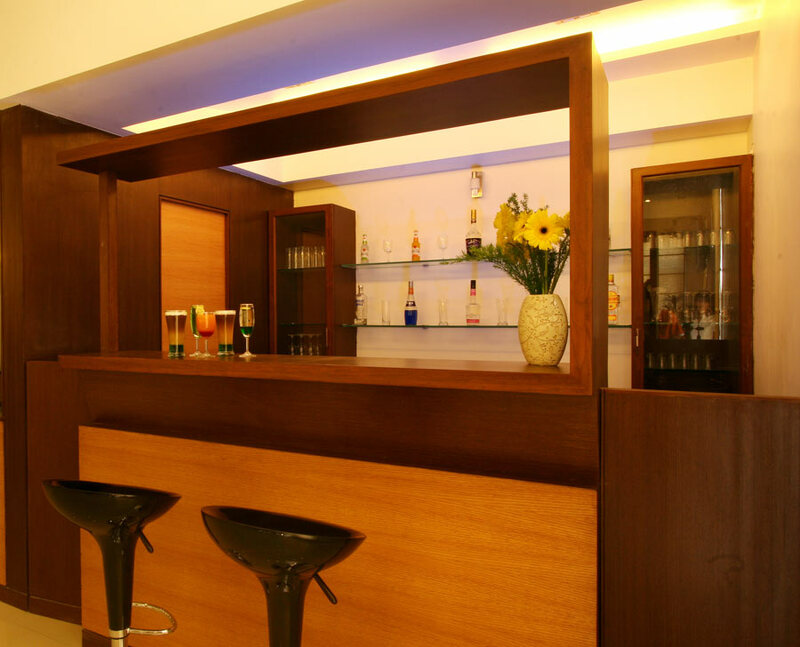 It is located at the 1st floor, and the bar is located at the 2nd floor. 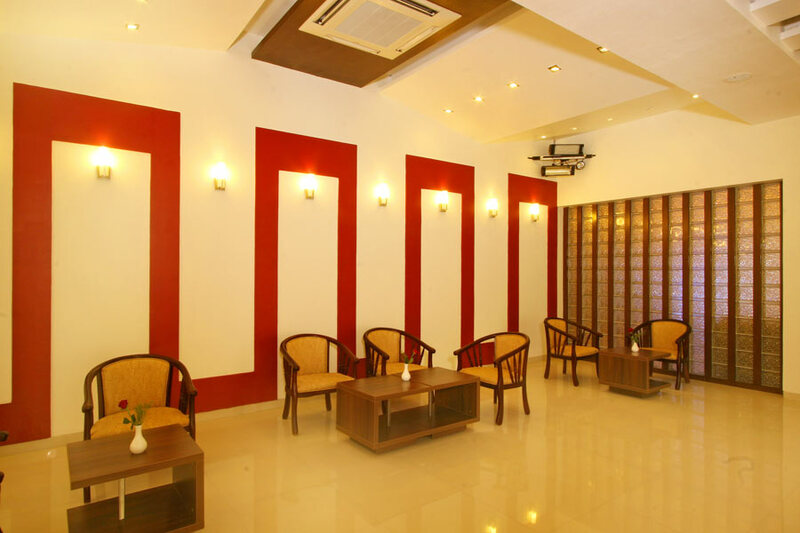 The banquet hall (A/C) with attached roof can accommodate 75 persons. It has lounge seating, hi-frequency sound system and lights. DJ music is arranged if requested in advanced. This venue is appropriate for parties and evening get together. 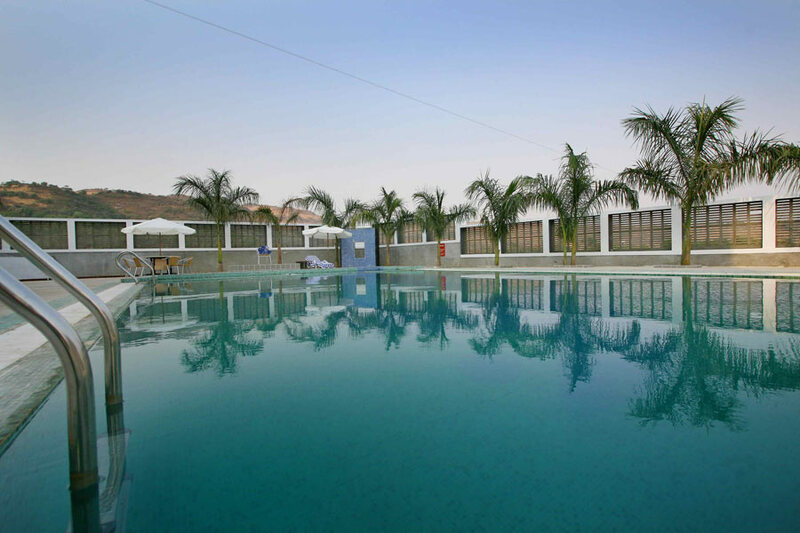 As recreation for the guests, the resort has Aqua Pool and Spa. It has a swimming pool with rain showers and 2 jetted whirlpools. Ladies and gents changing rooms are separate. 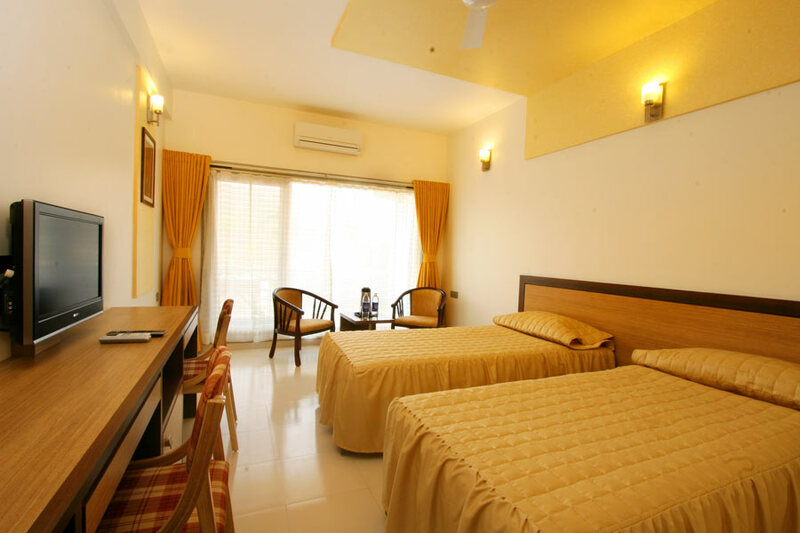 Steam and sauna rooms, massage room are also present to relieve of the tiredness. 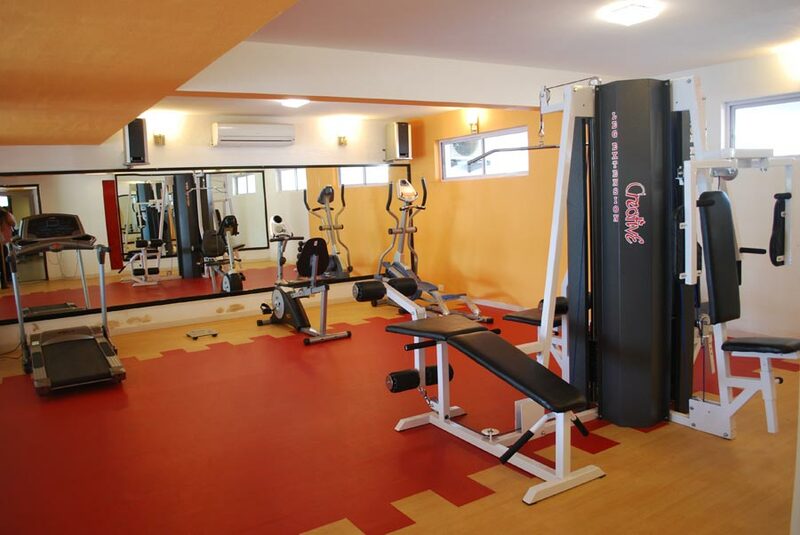 Fully equipped gym can be used to stay fit and healthy. 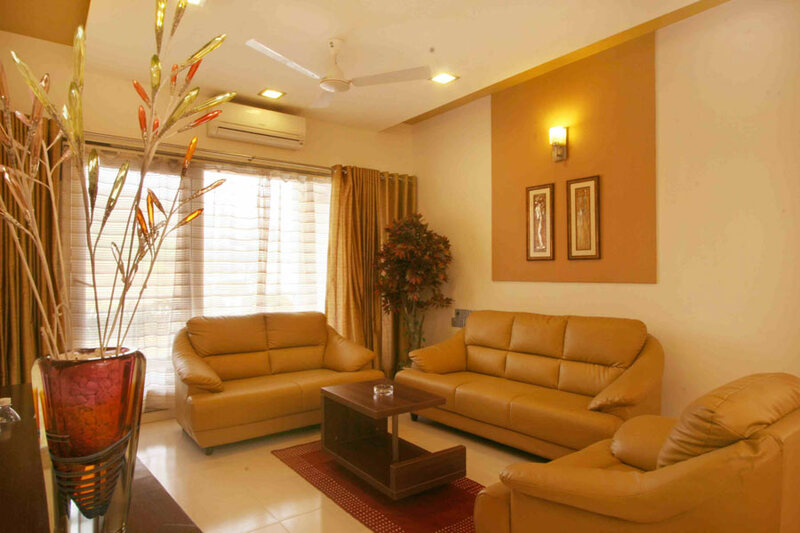 Table tennis, pool, carom, chess and darts are other indoor games to keep the residents busy. 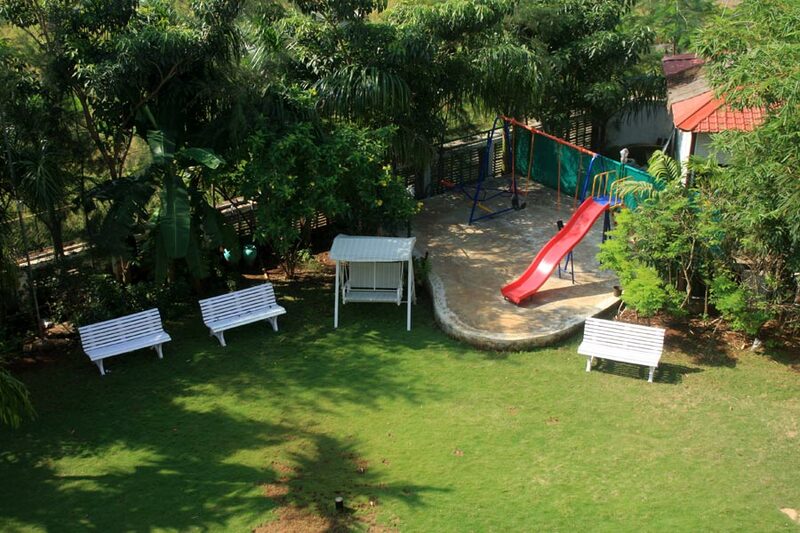 A children's play area can keep the kids entertained.